Can this PSP exclusive improve the formula? 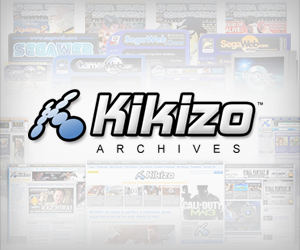 "If criticisms must be made, one could say that each race takes too long to load and, well, that's about it." 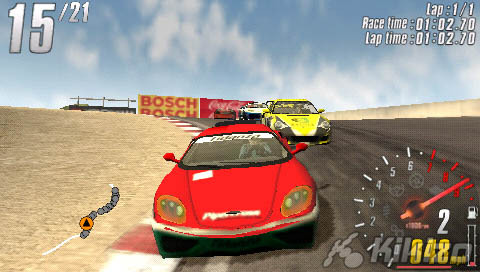 Most events take place on different tracks with different vehicles, and completing these events then unlocks the cars and tracks to be used in the other game modes. 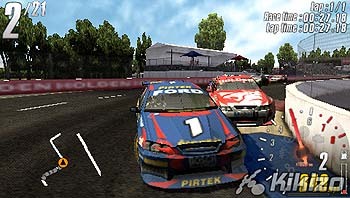 Modes such as Free Race which is precisely what it says, and allows you to race with any unlocked vehicle and track. Time Trial will allow you to race around a track aiming to beat your best time which can then be saved as a ghost car for you to race against next time. Multiplayer is where the player vs. player fun begins, with up to 12 player games possible if enough people have the UMD. 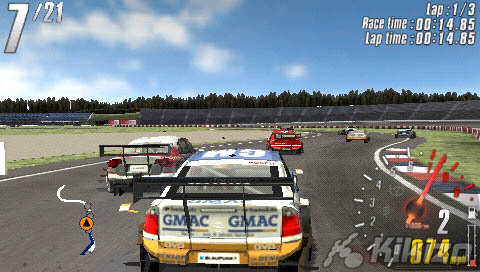 Otherwise up to four people can enjoy wireless multiplayer racing from one UMD via game sharing. It is possible in these latter three modes to alter and adjust your vehicle in order at affect its performance. Downforce, suspension, brake bias - there is a wealth of customizable options for those that know what they're doing. 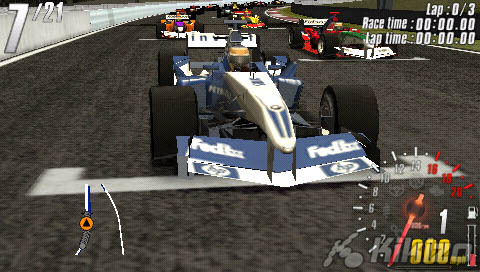 It's detail like this that makes this title stand out from the crowd and puts it in pole position on PSP. More attention to detail is evident in the ability to remap all the key assignments, adjust the sensitivity of the analog nub (thankfully! 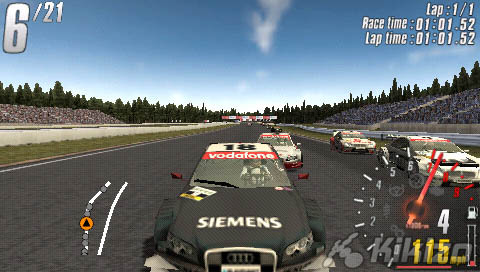 ), change what is displayed on the HUD whilst racing and also to play back movies which have been unlocked. The latter option is particularly nice with too few games offering this nowadays, despite all the work that goes into the in-game movies. As with the movies, the in-game engine is technically accomplished. Graphics are top-notch, with plumes of dust trailing your car when you spin off or stray into the dirt, weather effects such as rain also plays a part and you can even see your driver's in-car actions through the rear window. All this, and up to 19 other cars hurtling around the track. Sound cannot be faulted either and although it is restricted to basic engine noises and tyre screeches, it serves its purpose admirably. If criticisms must be made, one could say that each race takes too long to load and, well, that's about it. 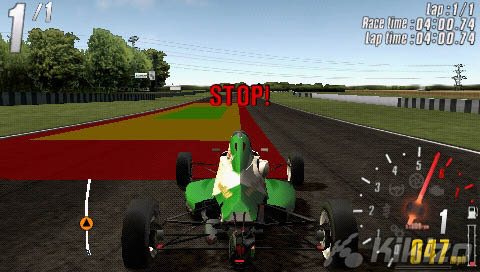 If recent sensationalist reports are to be believed and playing driving games is likely to make real world drivers go faster, then giving all learner drivers TOCA would surely make them better drivers. Even if they do go faster, they'd at least have better control of their vehicle. Who says the PSP doesn't have great games? 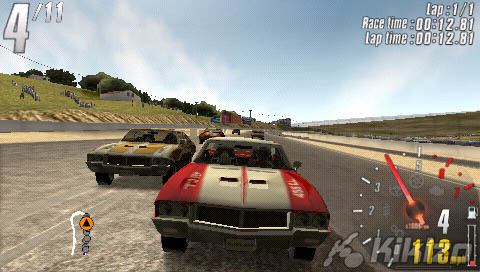 THE VERDICT: Probably the best racer available on handheld systems and beyond, TOCA is perhaps only surpassed by racing titles available on the vastly superior technology powerhouses that are the Xbox 360 and PS3. Tough at first but once up to speed it is blisteringly fast, accurate and detailed. The only thing missing is the smell of burnt rubber.